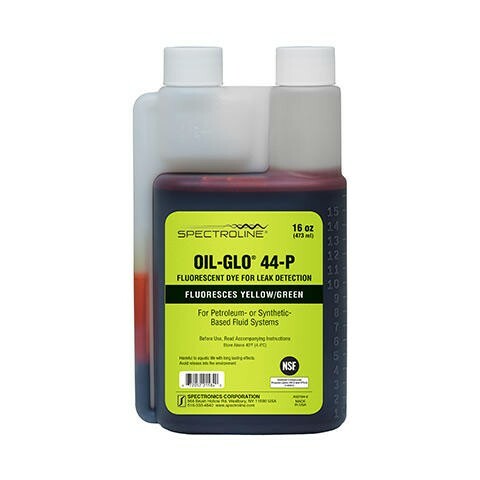 Find Leaks Fast in Synthetic or Petroleum-Based Fluid Systems! Versatile — Allow inspection of an entire system under virtually all operating conditions. Pinpoint the exactsource of the smallest, most elusive leaks – even multiple and intermittent leaks! Quality — Fully miscible, non-particulate and filtered down to 2 microns. Won’t change the viscosity or lubricity of hose fluid.